“Hi Kathleen, I wanted to let you know that your Celebration paintings and notecards are greatly admired by my Celebration clients. It’s such a pleasure to present my buyers and sellers with one of your watercolors. Your painting technique is “right on” with the unique style of the town and the quality of papers you use for your notecards provides me with an elegant gift to present as a thank you to my clients.” Janice White, Realtor. Century 21 Blue Sky Realty Group, Celebration, Florida. 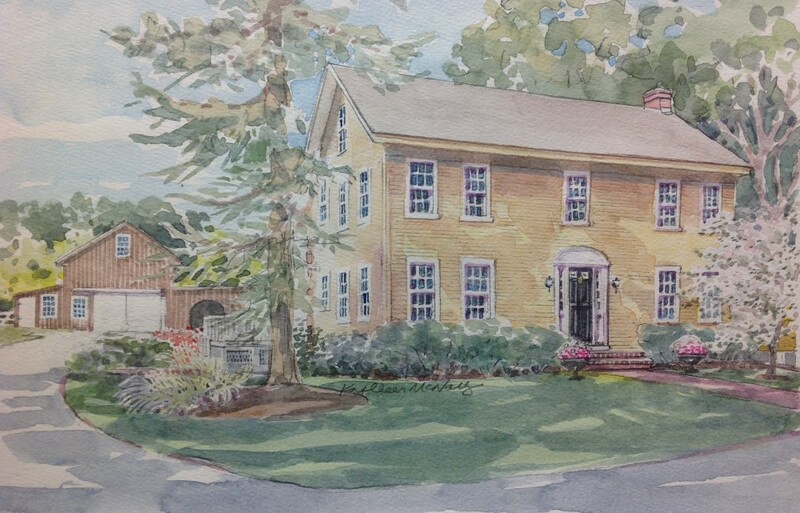 “The best closing gifts I have ever given and continue to do so are the beautiful home paintings by Kathleen McNally. What’s even better is that Kathleen will add some special feature if you want her to, such as painting in two little, beloved cocker spaniels near the family room windows. 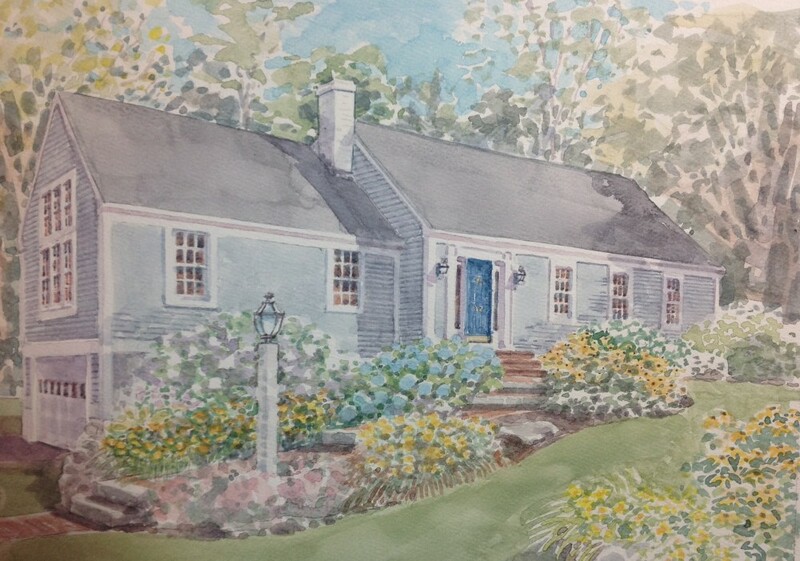 These paintings continue to warm the hearts of the homeowners who have lived there for many years and who have brought up their children there as well. There have been tears shed after opening these gifts. It’s the best gift you could ever give: memories.” Karen Neve, Real Estate Broker, RE/MAX On The River, Middleton, Massachusetts. “I am the Marketing Director for a busy construction company in Central Florida. 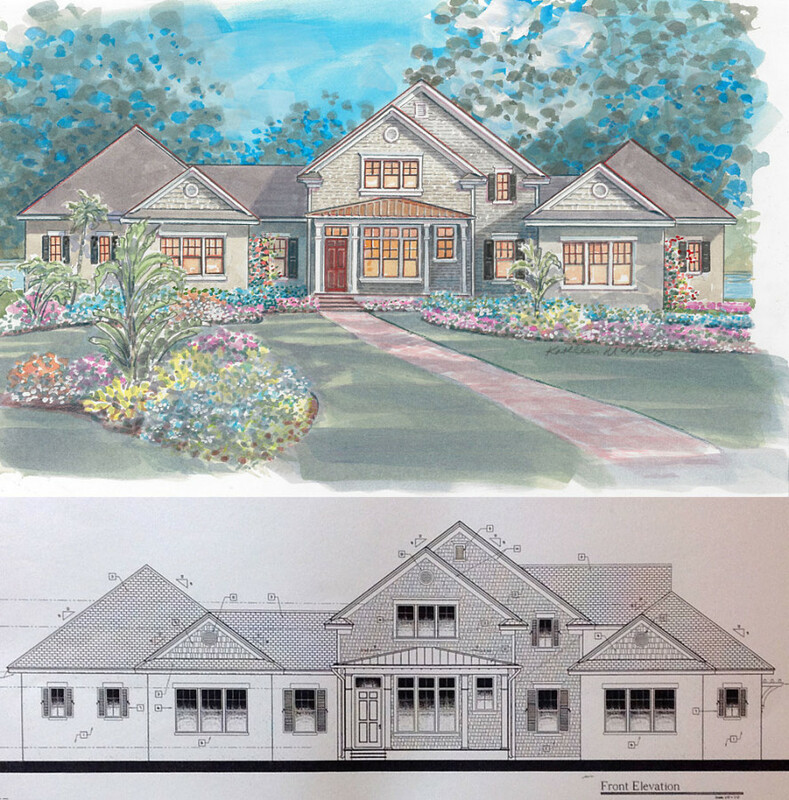 Most of our projects are one-of-a-kind custom homes, and It is not unusual for us to send Kathleen a sterile front elevation view of a home and ask her to turn it into a warmer, house portrait style watercolor – with shadows and landscaping. This helps our clients to better visualize the beauty of their future home, and allows us the opportunity to give them the gift of a beautiful Kathleen McNally framed watercolor print. Kathleen has really helped us communicate with our clients and is extremely valuable in the design process. We have used her lovely works of art in our brochures and marketing flyers. In fact, when an article about our company was featured in Orlando Magazine, Kathleen’s artwork was chosen to grace the cover.” Elaine McBride, McNally Construction Group, Inc. Windermere, Florida.